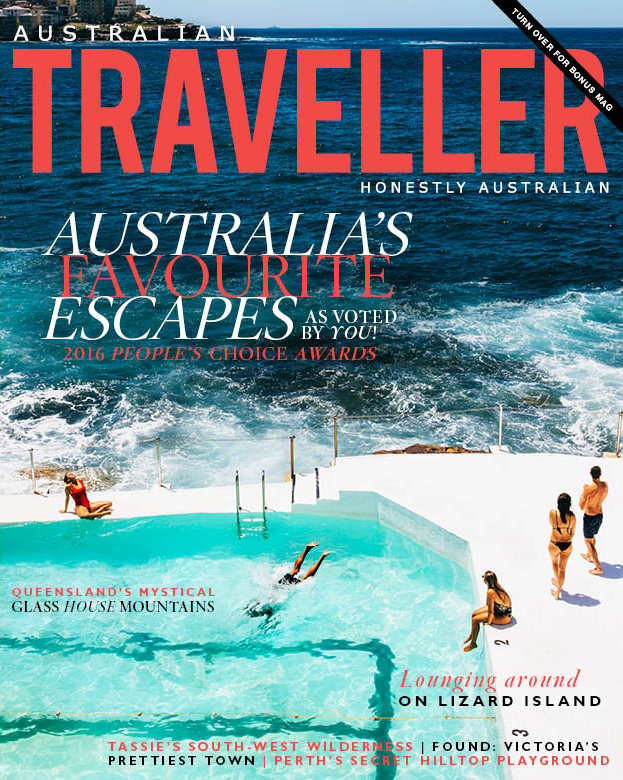 The prestigious annual Australian Traveller People’s Choice Awards were announced last night during an exclusive event at The Calyx at the Royal Botanic Garden Sydney. The awards, voted for by more than 6000 Australian travellers, recognise the best travel experiences and destinations for 2016. “We’ve had the largest ever number of respondents to the survey this year, which is a testament to how incredibly engaged our readers are, not just with the magazine but with their own country. Australians are looking more and more to travel within Australia and explore this beautiful backyard of ours”, said Australian Traveller editor Lara Picone. Aussies love our country’s remote white-sand beaches and so it wasn’t a surprise to see Whitehaven Beach at the top of the list, followed closely by Noosa beach. Tasmania won two awards – the Cosiest Winter Destination and Best Historical Site for Port Arthur. It was also a finalist in Most Scenic Road Trip and Best Guided Tour (which went to Sydney’s BridgeClimb!). Tassie should be on everyone’s list. It was close, but South Australia’s Barossa Valley took out the win for this new category Best Regional Escape, but New South Wales’ Hunter Valley wasn’t far behind. This year’s awards were announced on the evening of Wednesday 30 November at The Calyx, Royal Botanic Garden Sydney, and were sponsored by Webjet. Alcohol sponsors on the night included Tyrrells Wines and Matso’s Broome Brewery. The lucky door prize was supplied by Webjet. All guests took home a gift bag including: The Awards (Dec/Jan) issue, Botanical Signature skincare, Biology hair pack, Pablo & Rusty’s coffee, Bahen & Co chocolate, Murray River Salt Flakes, Corban & Blair luggage tag, Balance water, IDTAG Travel ID Tags and a gift from Webjet.